Sakura Hobby Craft – Butterfly Box | Who Are You Calling Crafty? 1. Mix lacquer and Tanzanite Mixer together. Take brush and apply the tissue paper to the box. Cover completely with tissue paper. Allow to dry. 2. Stencil and/or stamp images to the box. 3. Create flower, cover flower with lacquer mixer. 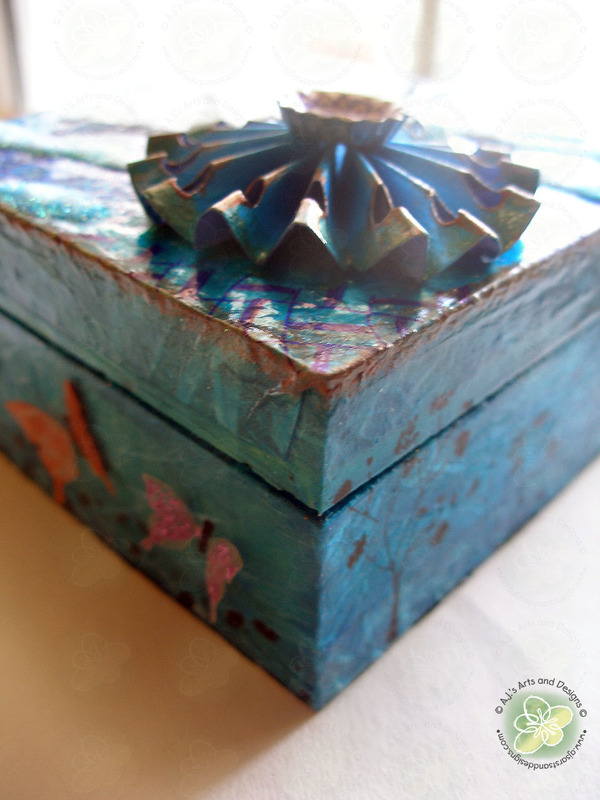 Add glitter to the top of the box. Allow to dry. 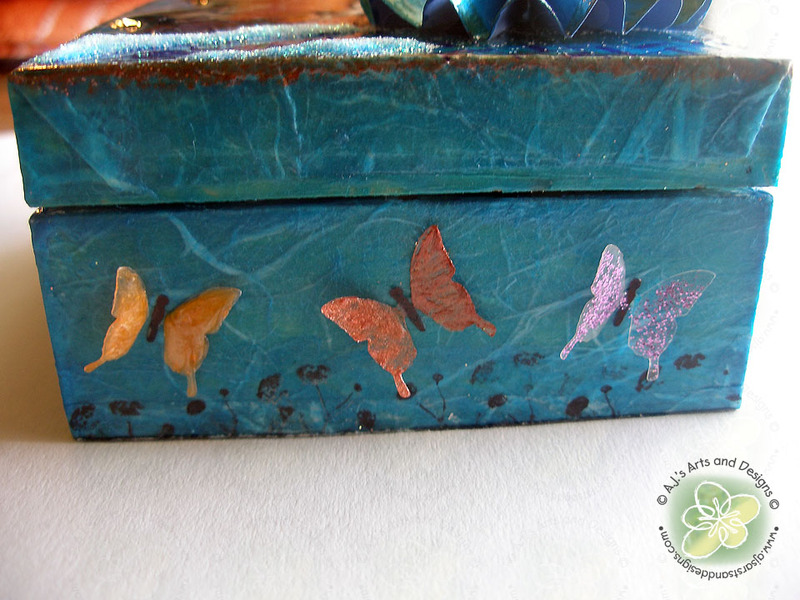 Punch out butterflies paint with lacquer mixture. Once dry attach to the front of the box. 4. 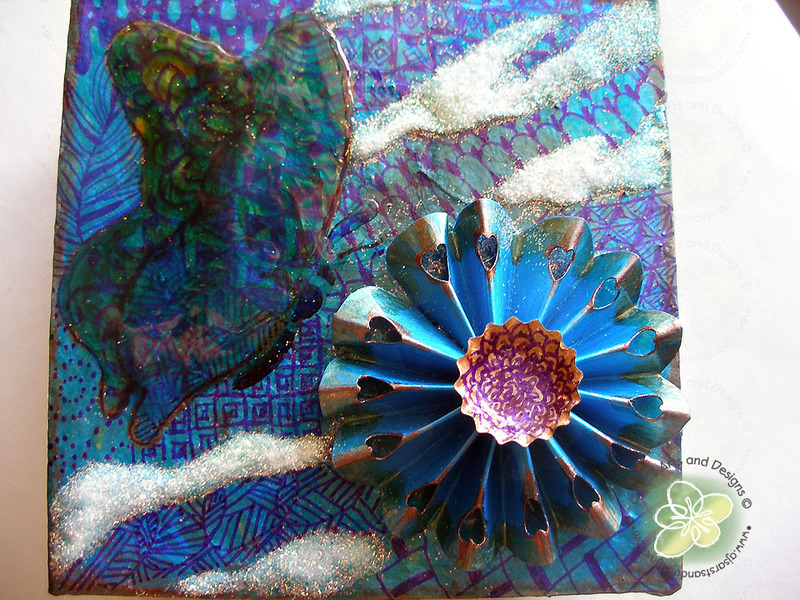 Take Bic Mark-it and Zentangle the top of the box. All of the patterns I used came from HERE – Tangle Patterns. 5. Finish the inside of the box with mixtures or with fabric. 6. 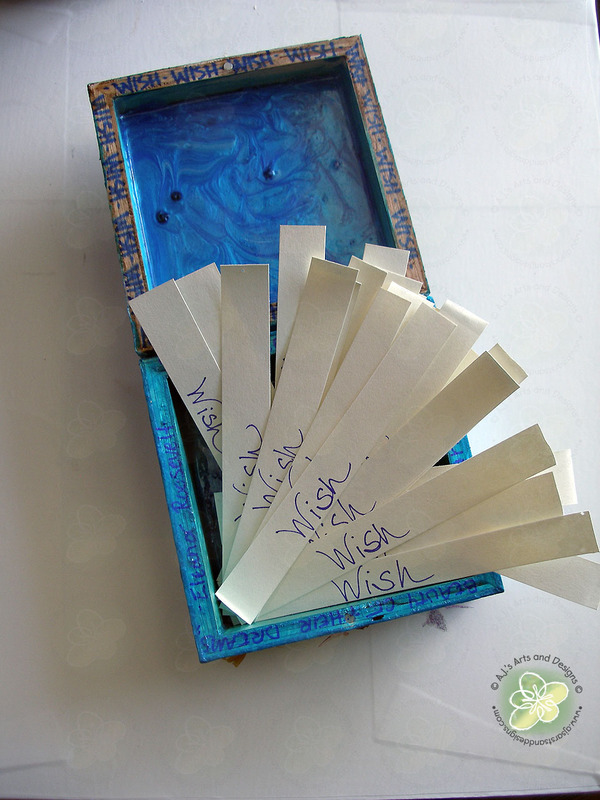 Add strips of blank paper so it can be filled with wishes. Give to a special little girl and tell her it is her Wishing Box!